This is the story of a young mouse named Finn Mouseson who lived with her family on the edge of a cornfield on the Minnesota Prairie. They made their living as Corn Gatherers. In the evening after a long day of work, Finn would sit by the fire and listen to her grandad tell stories of great adventures beyond the cornfield. His stories were very exciting and Finn would dream of taking a journey of her own to these places far away. Soon Finn decided she would have an adventure and over the next few months, she began to gather the things she would take with her putting them in a knapsack to hide them away until she left. One particular day her granddad handed her a small compass and winked. He told her that the arrow always pointed north so she could always find her way home. Finn met many new friends on her journey and faced a few dangers as well. She saw wondrous things and tasted new and delicious foods. Finn also learned that the world is an exciting place with friends to be gathered. However, home is always in your heart. Finn Mouseson by Melody Gersonde-mickelson was published by Christian Faith Publishing, Inc in June 2017. 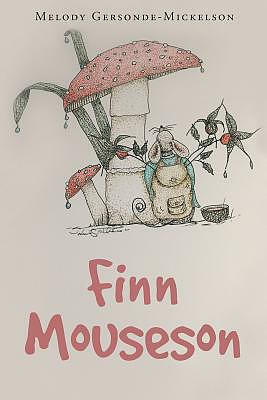 The ISBN for Finn Mouseson is 9781640282117. Be the first to review Finn Mouseson! Got a question? No problem! Just click here to ask us about Finn Mouseson.